the best available hearing care. 1 Call us for a free hearing test. 2 Experience better hearing with our free in-office trial! We offer a variety of hearing aid styles and manufacturers to fit your needs. You will love our flexible office hours and conveniently located office. Tinnitus is commonly described as a ringing, buzzing, whooshing or hissing sensation in your ears, but the sound isn’t caused by an external noise. More than 50 million Americans experience tinnitus for a number of different reasons. To determine how to best treat tinnitus, it’s important to understand its symptoms and causes. Tinnitus may be caused by one or more of these conditions and some can be resolved easily if the cause is temporary, such as an infection or a buildup of earwax. Depending on the cause of your tinnitus, there are a number of different treatment methods available to help you find relief. Your hearing care provider will assess the severity of your tinnitus, symptoms, how it impedes your daily life and possible causes and recommend one of the following solutions. Address the problem: If your tinnitus is due to earwax build up, medication or infection, they’ll recommend the proper course to resolve the issue. This may include removing the earwax, switching medications or antibiotics. Behavioral therapy may also be recommended to help treat the varying emotions you may experience with tinnitus, from anxiety to anger. Hearing aids: Hearing devices are incredibly helpful in treating tinnitus. Even if a hearing loss isn’t present, hearing aids can be equipped with tinnitus-masking features that help cover the tinnitus and offer relief from the unwanted noise. White noise machines: If your tinnitus isn’t as severe or only experienced at night time, a white noise machine may be ideal for helping you find relief. White noise machines produce a steady sound to help mask the tinnitus noises you hear. Tinnitus retraining therapy (TRT): TRT is a form of therapy designed to help individuals with tinnitus find relief. This therapy involves retraining your mind to block out and hear certain tones, which in turn, helps to ease the symptoms caused by tinnitus. If you are suffering from tinnitus schedule an appointment with a hearing professional to be evaluated. The hearing provider will work to identify the cause behind your tinnitus and recommend the appropriate treatment. Call us for a free hearing test. Experience better hearing with our free in-office trial! 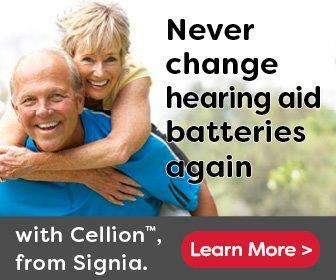 Save $200 when purchasing a pair of hearing aids!